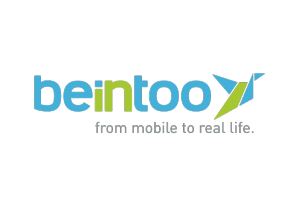 PALO ALTO, Calif. – June 20, 2012 – Beintoo, the innovative company behind the leading loyalty rewards and monetization platform for mobile games, apps, and websites, today announced that it has secured $5 million in Series A funding led by Italian VC firm Innogest Capital. “Innogest is excited to be a part of Beintoo. Beintoo has a unique proposition for app developers and retailers, and results speak for themselves: a very young and motivated international team reached out to more than 100 million devices in less than a year. Add this to the quality of Beintoo’s special offers and you will obtain a company that stands out in the mobile monetization ecosystem,” said Claudio Giuliano, Managing Partner of Innogest. Beintoo, headquartered in Milan and Palo Alto, plans to allocate Series A funds across North America and Asia, extending the company’s footprint in these regions. The company plans to expand operations, with an emphasis in sales, and continue to create partnerships with brands and developers who can benefit from Beintoo’s breakthrough and innovative advertising platform. This round of funding added to successful milestones showcases the power of a new breakthrough model of engagement between users and retailers, while reaffirming Beintoo’s status as the unique platform able to transform the time spent by users on the internet into personalized real-world benefits. To learn more about Beintoo, visit www.beintoo.com. A press kit with logos and screenshots is available at static.beintoo.com/press/BeintooStarterKit.zip. Beintoo is a mobile engagement platform provider offering a unique loyalty program for mobile and web applications and games. Beintoo rewards users with virtual credits, called “Bedollars,” for achievements earned and daily activities on the web and in applications and games. Bedollars are meritocratic, global, and can be redeemed in the Beintoo Marketplace or in the online store of Beintoo’s retail partners for premium offers from national and local, brick-and-mortar retailers. Via Beintoo’s reward engine, mobile developers can attain deeper user engagement and higher retention at no cost, while advertisers can maximize the efficiency of their ad campaigns to reach conversion rates that are high above average.